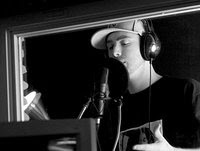 Just this morning I've begun to realize that Canadian hip hop icon, and my cousin, 'Classified' is about to be very very famous. I guess it's sort of a personal thing for me when I hear someone on the radio that they are at a certain level, a higher plateau than all the other bands and artists who don't get played on the radio. This morning 2 minutes after logging onto the top Vancouver pop/rap/hip hop/R&B station The Beat, I heard for the first time (on mainstream radio) my cousin with his new single 'Anybody Listening?'. I've felt that many tracks from his previous 11 albums could have gone big, but this one sounds like it's sending him up to the elite international hip hop status. He ramained true to what he preached and hasn't gone commercial with his music, stayed with the same recipe that has made him so many good albums and songs in the past. The only difference now is the label promoting him. 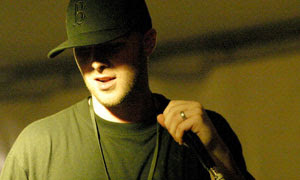 Classified (real name Luke Boyd) is the son of my father's younger brother and hails from Halifax, Nova Scotia. After producing and creating his own music and even making his own studio for over a decade, he was signed by his first major label, Sony Music. After always proclaiming he hated the rap industry, and true to his word would only sign with a major label if "the deal was right", he waited until the deal, I guess, was right. Luke has been nominated and even won several Juno awards (Canadian music industry awards) for his videos and songs, and I have the feeling his new album 'Self Explanatory' is going to garner him several more. My sister and I have been to two of his Vancouver shows, meeting up and hanging out with both Luke his brother Mike who has followed in his older brother's footsteps into the hip hop game. 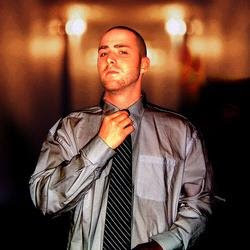 Classified is a very easy going, polite and straight up nice guy, very unlike his hip hop persona. I wish the best to him with the highly anticipated release of his new album april 7, 2009. You can listen to 'Anybody Listening?' here on his Classifieds' myspace page. Also, click here to check out his newest video to the new single 'Trouble' off the upcoming album. Shorty, myself and several team mates who I've turned onto his music are planning to see his concert here in Amsterdam at the end of his European tour in march. If you're around, check it out, Melkweg, Amsterdam, March 29. I wish him all the best with this new album. I checked the website of De Melkweg, but on the 29th of March... no Classified (only Dutch Delight and D12/Obie Trice/Royce da 5'9"). Also, I let the website search for Classified, no results. So are you sure it's the Melkweg?? Let me know, cause it sounds like fun. His myspace page says it's on the 29th. He is touring with all those guys though, so that would be right I think, he might just be an opening act or something, I don't know. I'm sure we'll find out more the closer it gets. It will be fun, we can all make a night out of it, a few of my teammates want to see the show too..
Touring with D12 and Obie?! Cool! But if he is touring with them, it's probably the right place and date. Melkweg is a great place for concerts, because it's pretty 'personal'(small place, close to stage). Keep me posted, cause I would like to go... and Daniel as well. Will be fun though, to have Leon's Boyd cousin and van Zandvliet cousins all at the same place! common Jess... that question didn't come from YOU. dutchie= hollands/ Boyd=Boyd... de hollandse Boyd = .Wilma??? Reason why I mentioned the "photo op" because sometimes Leon, Nadine and Luke meet before the concert in town somewhere for a quick beer or something... that is when I saw you do the photo thing.